If you are looking for a simple yet easy to use video downloader for Mac, you may try this new Downie 3.4.8. This simple application will help you to download video from many online video sources such as YouTube, DailyMotion, Vimeo and many more. It also supports 4K YouTube video download. This software integrates very well with your favourite web browser including Safari, Google Chrome, Opera. Forget about a complex user interface. 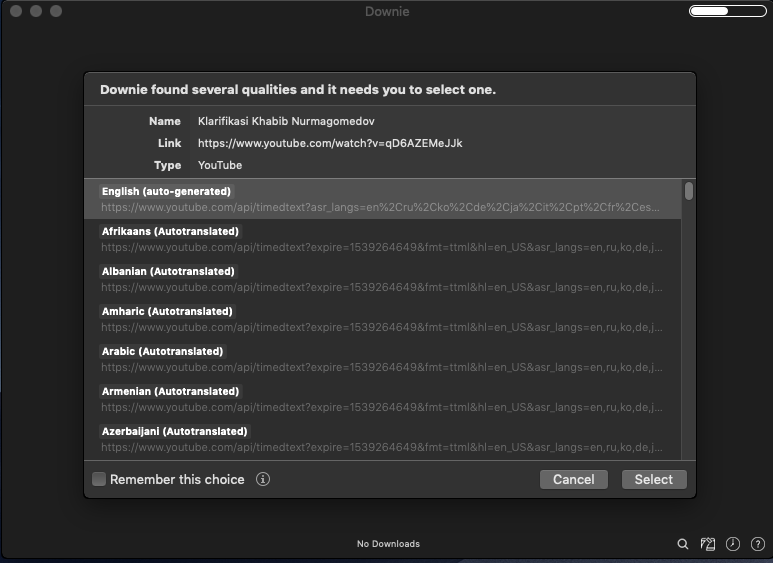 Downie is super simple YouTube video downloader for Mac. Simply drag and drop the video URL to the main window and the process will start immediately. In order to download a video, for example from YouTube, simply drag the URL video to this application. And then you will see the following on your screen. This program will detect any available version and qualities. Select one and then the download will start. Simply as that. If you want, you can also convert the video to MP4 format or extract the audio only.